How many of you have gone to a local brewery or winery in your area? Many of you (at least those of you reading this) probably have. It is fun to taste and support your local drinking establishments, isn’t it! How many of you have gone tasting at your local craft distillery? The list is probably a lot shorter. Earlier this weekend, I attended an open house at Clear Creek Distillery in Portland, Oregon. I had been to the distillery a handful of times before to do tastings (and purchases of course!) but this was the first time that I had the pleasure of getting a tour. Clear Creek is absolutely wonderful. They have dozens of fabulous spirits from Eaux de Vie, Grappa, fruit liqueurs and much more (including their famous whiskey which sells out in hours). 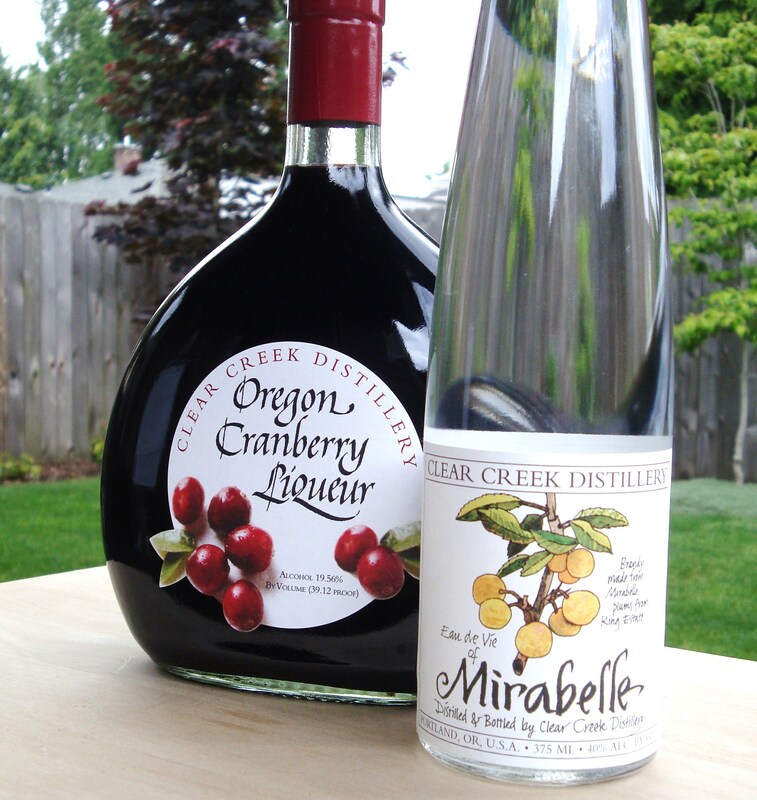 We restrained ourselves and left with only the Mirabelle Plum Eau de Vie and the Cranberry Liqueur, two selections we had not previously tried. As much as I love Clear Creek, they are not the only craft distillery around. There are a number of others in Portland, throughout Oregon… and hopefully in your area too. Distilling.com has a map of craft distilleries throughout the United States (and even few in Canada). Also from Distilling.com is a list of distilleries in the US, but the map seems to be a bit more comprehensive and/or updated. 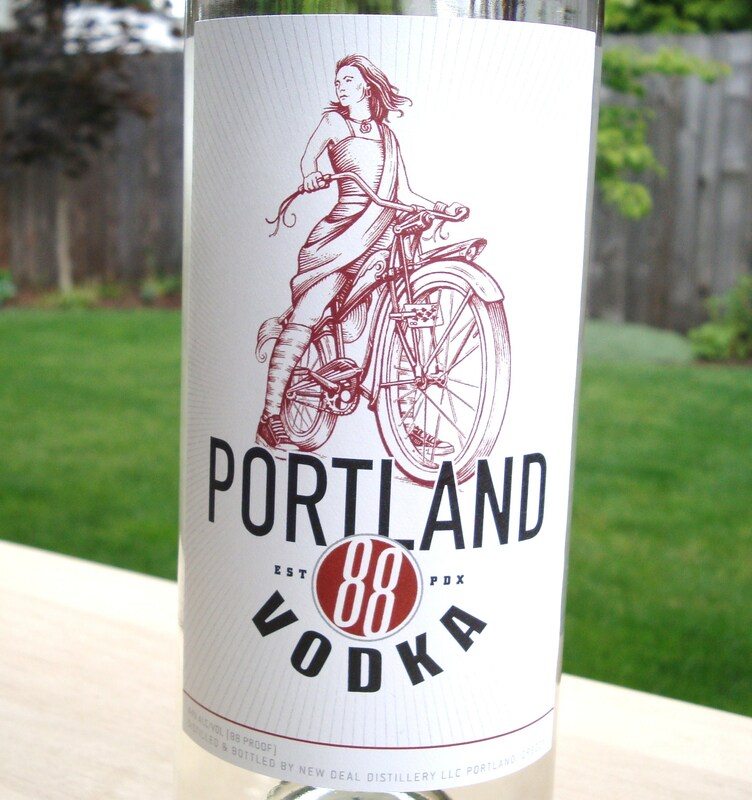 Those of you in Portland (or visiting Portland) may also be familiar with Distillery Row. If you do visit Distillery Row, be sure you don’t skip Stone Barn Brandyworks. Also from Oregon, Ransom makes a very unique gin called Old Tom, and Bendistillery makes some great spirits. If you love juniper, you must try Desert Juniper gin. Clearly, my experiences of craft distilleries are pretty limited to my area. I would love to hear about your favorite distillery in your area. Also, if there are craft distilleries that are missing from these lists, let us know about them. Cheers! And don’t forget to drink local! Categories: Distilleries | Tags: Clear Creek, Craft Distilleries, Distilleries, Drink Local, Stone Barn Brandyworks | Permalink. clear creek’s Douglas fir eau de vie is incredible stuff. Yes, it sure is! I have never tasted anything else like it. Great! I would love to hear if there is one (or more) that you like. I’m in Seattle on a regular basis and wouldn’t mind checking some out myself! I now a list to try out on the Eastside-thanks. I’m sorry! You have done such a great job of researching all the best liquor stores and ingredients in your area. Maybe you can see if they stock any small craft products? If you told me you were from the Bay Area and hadn’t beem to any wineries I would probably think there was something wrong! But that’s great that you have been to some distilleries also. Any great ones you want to mention? Thank you for encouraging others to check out craft distilleries, all of us in the business appreciate that! There are also some fun Portland Oregon events where craft distilleries come together to promote their spirits so that attendees can sample a variety of craft spirits all in one place; Oregon Distillers Guild TOAST, Great American Distillers Festival and other events that are well worth attending. Thanks for the comment and the info! I look forward to trying some Grog! It sounds great! Hi Lindsey, that sounds like fun! I think there are quite a few Seattle area distilleries. Let us know if you try any more! Tanya, that’s awesome! I hope you have a fun trip.